Update: The Pixel 4 and Pixel 4 XL have both been mentioned in Google code, along with what seems to be codenames for the two phones. Since its launch in 2016, the Pixel line has become a reliable tentpole in the smartphone release calendar. Offering a suite of features with an almost unmatched level of software polish, the handsets have done a lot to earn the adoration of the tech community at large. That isn’t to say that the competition is resting however, and Google in 2019 really needs to keep on its feet if the Pixel line is to meet expectations with its next iteration, the Pixel 4. Read on for the most up-to-date list of rumors regarding its design and pricing, and a full breakdown of what we’d like to see feature-wise from Google's upcoming pocket rocket. For years now, Google has opted to release its Pixel lineup in the latter half of the year, after the usual roller coaster of smartphone releases from the first half of the year has died down. More specifically, we expect a launch event sometime in early October based on past form, with it also being likely that Google will take the opportunity to launch a few other hardware options at the same time, such as the long-rumored Pixel Watch. Following the announcement, it's likely that the Pixel 4 and Pixel 4 XL will hit stores in early November, if past years are anything to go by. Pricing-wise, the Pixels have been climbing for years now. 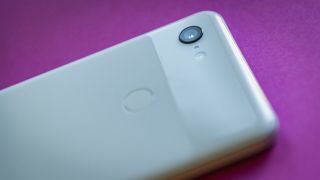 With the extra features now included and the general emphasis on a premium fit and finish, the Pixel 3 - or at least the XL model - may be the first of the line to break the $1,000/£1,000/AU$1,500 mark. We'll probably also see multiple different storage capacities offered at different prices. More information will arrive closer to the launch, so watch this space. At this stage, it is highly probable that the Google Pixel 4 is still in the latter stages of development and is yet to enter production. As such, any information gleaned from tipsters must be taken with an appropriately large measure of salt. However, one thing that we can be fairly sure of is that it is indeed in the works and will be called the Pixel 4, as a Google software engineer has mentioned the phone by name, not once but three times. The Pixel 4 name has also been mentioned in code found in the Google app, along with the codename 'coral', while the Pixel 4 XL is also mentioned, alongside the codename 'flame' - which likely refers to the flame angelfish, given that all Pixel codenames in the past have been related to sea life. Beyond that, the indications at the moment are that the Pixel 4 will arrive toting the punch-hole design used by the Honor View 20 and then brought into the mainstream by the Samsung Galaxy S10 line. At least, that's what a leaked image below, supposedly showing the Google Pixel 4 XL, suggests, with a dual-lens camera cut into the top right corner of the screen. This will hopefully mean the death of the enormous notch plaguing the Pixel 3 XL, while also ensuring further screen real estate becoming available to the consumer, a win-win. In fact, there's no visible bezel at all on this image, so it's possible that the Pixel 4 XL will be almost bezel-free. The image also seems to imply that Google may finally buck the trend which it has set for itself and finally begin to embrace multiple cameras on the rear of its devices. With the Pixel 3, Google really showed off the full extent of what was possible with a single camera, while also approaching the limits of such a setup. As such, we’re excited to see what a Pixel armed with multiple rear snappers might be able to achieve. That said, images from a patent just show a single-lens camera still, so it's possible that Google will stick with one lens, or perhaps only the XL model will get two. You can see some of these patent images below. Note that there's no visible camera, notch or bezel on the front of the phone. That probably just suggests a lack of detail in the sketch, but could mean the phone uses a pop-up camera or something. We'd take these images with a pinch of salt though, especially as they also show a fingerprint scanner on the back, which could feel a bit dated now that we're getting phones with in-screen scanners. Indeed, the leaked Pixel 4 XL pictures further up have no visible scanner, suggesting it might be built into the screen. However, both sets of images show a two-tone rear, just like its predecessors. Beyond these images, we've also seen a Geekbench benchmark possibly for the Google Pixel 4. It lists a top-end Snapdragon 855 chipset, along with 6GB of RAM - up from 4GB in the Pixel 3 range. It also, unsurprisingly, lists the phones as running Android Q. The benchmark includes a single-core score of 3,296 and a multi-core one of 9,235, which are solid but unexceptional results for a top-end phone. Of course, this would be pre-release hardware and software, so results at launch might be better. Finally, code recently added to the open source foundation of Android suggests that the Google Pixel 4 might have improved dual-SIM support, letting you use both a normal SIM and an eSIM at the same time. Throughout the year, more leaks will continue to arrive, so keep checking back here for all of the latest developments. Though nothing is yet known for sure about the Google Pixel 4, we know what we’d like to see - our eight suggestions can be found below. Since the beginnings of the Pixel line back in 2016, Google has not only defined what is possible with a single camera sensor, but for smartphone cameras overall. With tricks such as super-res zoom, night shot and more, the Pixel 3 in particular outcmatched the likes of Huawei, Apple and Samsung in 2018, all seemingly without breaking a sweat. The competition isn't resting on its laurels however, with the Huawei P30 Pro in particular turning up the heat. We wouldn't be surprised if a left-field, potentially game-changing software feature is added to the Pixel 4, but to really exceed expectations a second, third or even fourth sensor on the rear would give it an edge. Ultra-wide-angle, telephoto zoom, monochrome, there are lots of options, so we would like Google to experiment with the options available to it - the results could be spectacular. To anyone watching smartphone design evolve, 2018 was the year of the notch. No matter the size of the display, every manufacturer followed the trend set most strongly by the Apple iPhone X with a slew of copycat efforts. Google's Pixel 3 XL is a particularly infamous example of egregious notch design, as it's larger than most. We would like to see the firm completely avoid the notch this year, without resorting to the large bezels of the standard Pixel 3, either by using a pinhole camera in the display or with a sliding mechanism. Despite generally providing a solid software experience for those using it, the Google Pixel 3 line wasn't without controversy, particularly with regards to RAM management. Many users reported that in the first weeks of use, the camera app in particular used up so much available memory that any other apps then open would be force-closed. In a budget phone with only a smattering of RAM available, this might have been forgivable, but for a flagship it certainly is not. For the Pixel 4 we would like to see at least 6GB of RAM, along with a suitably powerful chipset - hopefully this then will remove any accusations of poor performance. The humble stereo speaker, usually front-facing, has faced an odd existence. Although popular with fans on any handset graced with their presence, they tend to be the first victim of space-saving measures. Case in point, 2019 has seen the elimination of the feature from many popular handsets, with it sometimes being replaced by a speaker underneath the display. But for the quality of audio offered, and the improved listening experience, we would like to see stereo speakers remain on the Pixel 4 as they did on the Pixel 3 - standing out from the competition in all the right ways. Packing in huge batteries has become the done thing for most flagships in 2019. Nearly all sport packs the size of which would have been unheard of only a few years ago. Google though - claiming improved efficiencies with each passing year - has so far not massively improved the size of the battery packs included with its devices. And although early signs are promising that the new Snapdragon 855 is significantly more efficient than its predecessor, the Snapdragon 845, we would like to see Google go the whole hog. We want to see a Pixel which can measure its life in days, rather than hours. Here’s hoping that Google can deliver on this. Earlier in 2019, Google 'surprised’ the world with the announcement of its game-streaming platform ‘Stadia’, which utilizes compression technology in an attempt to make a service accessible to all. It has been promised that the service will reach a plethora of devices, mobile, console or otherwise. The question of mobile is a little more complex however, for although expanding the service to all Android devices will likely be a future ambition, for the moment the word is that availability will be restricted solely to Pixel devices. With this in-mind, we’d like to see Google take this concept as far as it can go - but what would this mean? In practice, what we want is improved focus on network performance (to combat potential latency issues) and, more importantly, a dedicated peripheral. This would ideally be in line with what Xiaomi has helped to pioneer with its Black Shark gaming handsets - touch controls are not suited to complex control systems and a dedicated peripheral would help to bridge the gap. In most settings, from the boardroom to the bedroom, black or white options are a solid choice for phones. They add a touch of class and don't stand out in a crowd. The Pixel line certainly caters to this subset of the population, however in the past it has taken slightly wild strides, mostly notably the original 'Really Blue' model (which was indeed very blue). In the vein of this original, we'd like to see the Pixel 4 come in more than one slightly unconventional color, following the example set by the iPhone XR and the Samsung Galaxy S10e. Whether green, blue, yellow or whatever else, the new option needs to stand out from the similarly colorful opposition. The Pixel 3, in no uncertain terms, is a better constructed phone than its predecessor. Boasting tight lines and a glass rear, it has really been a match to the likes of the various iPhone models released in 2018. No amount of truth twisting could lead to accusations of it being damage-proof however - quite the opposite in reality. The stone-like finish applied to the glass on the rear has shown the tendency to scratch easily, far more so than might have been expected. This meant that those shelling out hundreds for their shiny new Google devices found that it didn’t take long before they regretted not slapping a case on instantly. As such, whether via an all-metal build or through something a little different (even a different kind of glass or treatment) we would like to see Google embrace a little utilitarianism into its design, creating something which anyone can use at any time, any day.